Is it time to be totally aligned with your new intentions? 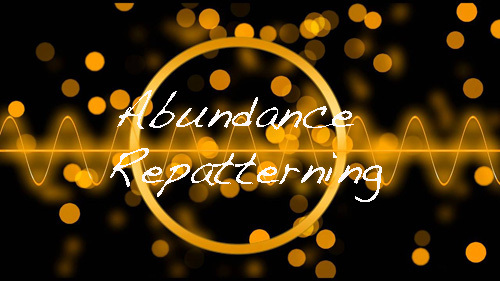 I am offering upto a one and half hour Abundance Repatterning session via Skype or Zoom to help clear any abundance blocks and get you ready to step into your power and inspiration. Get your system 'On' and resonating with making your new visions happen and receiving true abundance in 2018. Most of the time when people think of abundance they relate it to money, however money, like anything else, is an energy. For us to attract money we need to be in alignment with it. The Repatterning looks at abundance in your life in terms of your self value, your passion and sense of purpose, your growth and whether things flow for you and through it we identify where there may be old programs that hold you back, old beliefs that no longer serve you or even ancestral patterns that it's time to let go of. It is an in-depth session, yet you are left feeling lighter, more balanced and ready to take on the world. Give yourself or someone you love the gift of an Abundance Repatterning and be ready for brand new beginnings.